The rise of silicone in the hookah industry has continued to grow, and it’s not likely that will ever stop. BudPro is another product on our list of best hookah bowls with a bunch of good reviews, ratings, and a really fair price so we couldn’t resist to un-accept their offer. After a lot of hours of smoking from this bowl, here’s our full BudPro silicone bowl review. It’s very sad to notice your favorite hookah head broken into pieces just by falling on the floor. Therefore this BudPro bowl offers you a perfect alternative to the ductile bowls like glass, clay or ceramic bowls. The inner portion of the bowl has seven holes and comes in blue color. Air holes, (something similar to the Phunnel bowls) helps the shisha juices to melt, and flavor to last longer. 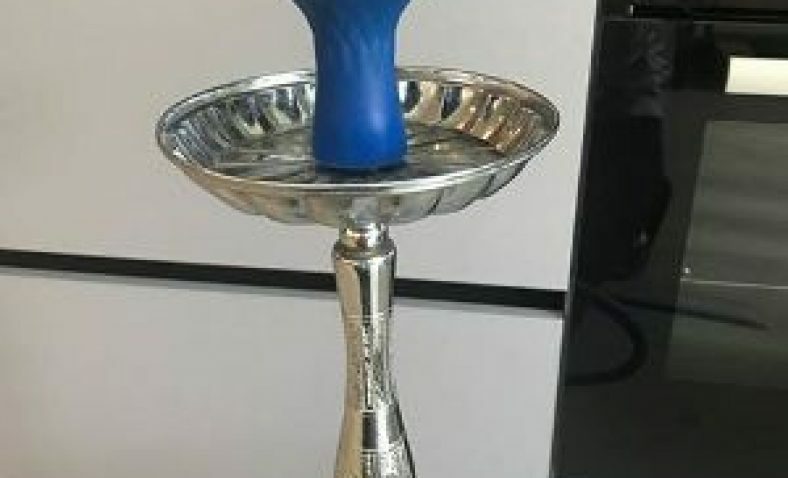 There is no need for the grommet, that means you can place the bowl on a hookah and get started. Furthermore, it can be used with regular foil or Kaloud lotus. This bowl is made of food-grade silicone which is insanely durable and ensures the long-term investment. It can withstand fall from good heights and can withstand the temperatures up to 320 degrees Celsius. This silicon material has little bouncy nature when dropped on the ground. Silicone is a kind of material which isn’t a good heat conductor, because of that, it’s very easy to handle. It has a bit lower heat retention, you’ll need two or three charcoals in the bowl to achieve a level of heat enough to cook your shisha tobacco. It can be used roughly, and don’t need to worry about if it falls that it will be broken. Furthermore, it works perfectly fine with the charcoal holders like Kaloud lotus. The heat retention of this silicone bowl is a bit lower than ceramic or clay. Because of that, you’ll need a few pieces of charcoal to get equivalent cloudy experience in case of others. The closed air vents in BudPro HM reduces the ash formation, chemicals passing through tobacco and delivering you dense clouds. The bowl has incredible heat management system as it prevents direct contact between tobacco and charcoal. Also while consuming the hookah, you will not get any foul taste of the silicon surface and is perfectly safe. BudPro metal heat management system works great, it can be easily compared with much more expensive Kaloud Lotus. Coals will last extremely long, put three coals, and expect two hours of smoking without the need to replace them. This may not be the easiest thing to use for beginners so here are little guidelines. Set the HM so that bump on it barely touch shisha. Make sure that the bottom air vents are over the shisha. Put the coals over the bottom air vents. The air vents function just like a Kaloud Lotus, you can control the heat by opening the air vents, and re-closing them when you need more heat. The Bud Pro silicon bowl comes in a standard size of 3.38” height with the diameter of 3” (from rim to rim). It can easily be filled up with 30 to 40 g of tobacco. How much shisha it can hold? This is large size of the bowl, big enough to fill between 30-40g of shisha. Also, it can comfortably retain 3 standard pieces of coal which last more than 1 and half hour. How to pack Bud Pro bowl? Semi-dense packaging proved to be the best, but you can experiment with the different ways of packing. Tobacco should not go over the holes in the bowl. Pack the tobacco beneath the edges of the bowl, that way you will prevent tobacco from burning. This is not a bowl that provides the best performance if it’s overpacked, so be aware of that. Need more information about how to pack the bowl? Check out our guide. How to clean up BudPro Silicone Bowl? The cleaning was super easy. The elasticity property of the bowl lets you wash the encrusted molasses remains under the running water or you can use warm soapy water as well. Be sure to clean it after each use. Most BudPro silicon users claimed that the Al Fahker mint and wet tobaccos like Fumari and Starbuzz tastes the best. Furthermore, the flavor retention in BudPro silicone bowl is much more than any other bowls when used with natural coconut coals. Because it is a silicone bowl, be aware that you will need to wait a little longer to coals heat up the tobacco (usually within 5-7 minutes) My recommendation is that you always use three coals. It will perfectly fit the large hookahs and medium hookahs, but you can’t use this bowl on your mini hookahs. Do NOT over pack it, metal shouldn’t come into contact with tobacco, it will burn the shisha. Don’t forget to wash the bowl before use, you can clean it simply with water and soap, that way you will not get silicone taste at the first use. Don’t smoke from this bowl with quick light coals, natural coals will much better, performing. Metal heat management will be super hot after a session is careful not to fall on the floor, also, do NOT touch it with your bare hands. Summarized this bowl is great, with BudPro silicone hookah head you will definitely get a royal smoking experience. 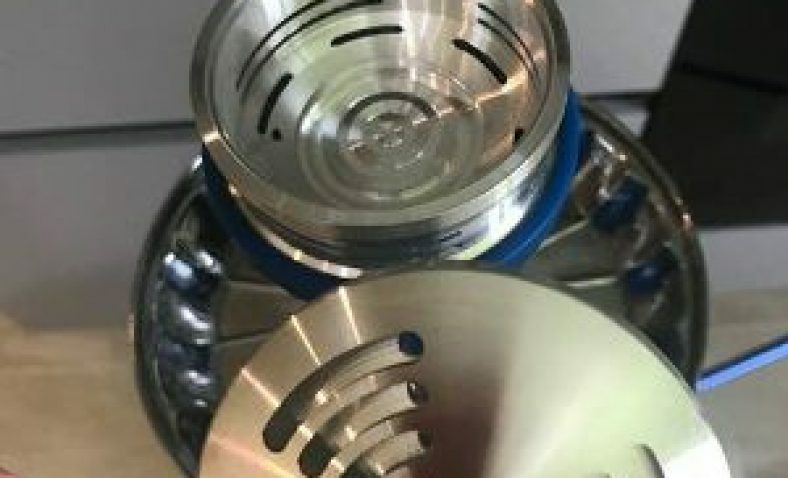 You will get a bowl that produces huge clouds, keeps the shisha juice, it’s very easy to clean, at a really affordable price, what you would want more from the bowl? We’d give 5 out of 5 for BudPro. We were surprised by the HM, it works great! The quality is surprisingly good, and it definitely keeps the coal from the rapid burning. When it comes to downsides, this bowl needs to be heated longer, it is also not so good conductor of heat as clay. For starters, it may not be easy to use it, but in time, you’ll definitely get used to it. Many beginners complain that this bowl doesn’t come with instructions, that is one of the reasons why we made this guide. Also, there is no website where you can find out more information about this bowl, so I think this guide will be of great help to you. Have you ever smoked from BudPro silicone bowl? If the answer is yes, write your review for our community in the comments.